Surfers Beachside Holiday Apartments is ideally situated in the theme park capital of Australia, The Gold Coast's Surfers Paradise. Situated less than 50 metres from the patrolled beaches and a short stroll from shopping, restaurants and nightlife. Surfers Beachside Holiday Apartments is in the perfect position to combine relaxations with pleasure. The Coolangatta and Brisbane airports are approximately 25 minutes and 60 minutes drive away from the Surfers Beach Side Apartments anf the fully patrolled surf beach boasts its own licensed surf club with restaurant, where you can relax with an afternoon cocktail on the decking overlook. If you are looking for accommodation which is inviting all year, you have found it at Focus Apartments, Surfers Paradise, on the Gold Coast. The location of this 4 star resort is perfect - right in the heart of Surfers Paradise, just across the road from beautiful kilometres of sand and a patrolled swimming beach. The Focus Apartments feature fully self-contained luxury 2 & 3 bedroom apartments set in large grounds with resort facilities - swimming pool, spa, sauna, gym, BBQ faciliteis, tennis court, basketball courts, and children's playground. The QT Gold Coast Hotel offers , luxury hotel accommodation nestled in the very heart of Australia's favourite holiday destination, Queensland's stunning Gold Coast, located only 50 metres from the sparkling waters and white sandy beaches of the famous Surfers Paradise beach and only a few hundred metres to the cosmopolitan Cavill Ave. Whether it's an action packed stay or a leisurely pampered getaway, this iconic hotel provides holidaymakers with the ultimate in luxury accommodation, service and comforts, catering for any family vacation, romantic weekend away or corporate conference- with its premium facilities leaving every guest spoilt for choice. Affectionately known as the GCI Hotel, this luxury hotel redefines premium accommodation with a unique blend of space, comfort, style, service and spectacular five-star views. With our stylish range of accommodation - 296 well appointed rooms - you're assured of a rejuvenated stay, whatever your aspirations. The spacious rooms are air-conditioned and feature their own furnished private balconies, so you can make the most of the fresh ocean breezes and the balmy, sub-tropical warmth. The views are simply breathtaking - amazing ocean, mountain and river panoramas stretch seemingly forever into the distance. At night, a stream of shimmering lights link the Coast as it gets set to party. It's an experience - it's truly memorable - it's the GCI Hotel! Take advantage of the hotel's world-class five-star services and resort facilities including a gymnasium, spa and sauna, heated swimming pool and tennis courts. Our aim is to ensure you have a relaxed and enjoyable stay, creating a host of lifetime memories. The QT Gold Coast International Hotel invites you to experience our award-winning hospitality and looks forward to welcoming you as our guest. Accommodation at the Budds Beach Apartments is made up of 30 one bedroom fully self contained furnished apartments, situated just 30 metres away from the picturesque Budds Beach and less than 400m from the famous Surfers Paradise beach. Budds Beach is at the northern end of Surfers Paradise, less than 10 minutes walk to Cavill Avenue - the heart of Surfers Paradise and the focal point for many of the Gold Coast's social activities including restaurants, cafes, night-clubs and shopping. At Budds Beach Apartments holiday makers will enjoy the quiet and relaxed ambience whilst also having easy access to the river which flows into the Gold Coast Broadwater only 30 metres away. The Towers of Chevron Renaissance - a Surfers Paradise accommodation icon. The Towers of Chevron Renaissance typifies the best in Gold Coast accommodation, incorporating full resort facilities in one of the Gold Coast's most sought after locations. With modern, luxury features and contemporary designs, Chevron Towers Resort offers quality accommodation to suit the whole family. The central location means patrolled beaches, and the shopping and entertainment of Surfers Paradise are only minutes from your door. Inside The Towers of Chevron Renaissance you will find a fabulous range of 2 & 3 bedroom fully self contained apartments, offering every luxury amenity. Generously proportioned, modern and contemporary in style, all luxury apartments feature marble and stone top benches, beautiful wood finishes, calming colours and an abundance of natural light. Most living room spaces, main bedrooms and second bedrooms open up onto a balcony. Stylish open plan kitchens all feature modern appliances. Outside is a private sanctuary of manicured lawns, elaborate gardens, tropical beaches and expansive pools, providing a buffer from the bustle of Surfers Paradise below. Features of The Towers of Chevron Renaissance include The Beaches In The Sky - a massive pool and leisure area on level 5 of the resort, with pool, bridge, hot and cold spas, white sandy beaches, landscaped garden, BBQ & entertainment areas, a heated pool, spa, saunas, gymnasium, childrens playground, club lounge, games room and private theatre, secure parking, onsite management and 24hr monitored security. Literally on the doorstep of The Towers of Chevron Renaissance are the delights of the Chevron Renaissance shopping and dining precinct, with leisure and entertainment choices to satisfy your every mood. The Chevron Renaissance is within easy reach of the beach, shopping, theme parks, the Casino, 18 international standard golf courses and all the other fantastic attractions of the Gold Coast. The Regent Apartments offer 1, 2 & 3 bedroom air conditioned apartment accomodation ideally located in central Surfers Paradise, less than 50 metres from the famous sandy beaches of the Gold Coast. At the Regent Apartments, the best beaches in the world are just a few metres from your doorstep. The Regent offers families everything they could wish for to make their holiday a memorable one. Features include a day and night tennis court, 24-hour indoor heated pool, indoor heated spa, outdoor swimming pool, sauna, BBQ area (1 outdoor & 1 indoor), tour desk and secure underground parking. The kids will love the water slide which splashes into the outdoor pool. The large, well appointed, self-contained apartments are all air conditioned and enjoy fantastic views. Further features include a fully equipped kitchen and laundry with washer, dryer & iron, a large private balcony with outdoor setting as well as Television with Foxtel. All this complimented by a friendly, professional on site management team.The Gold Coast entertainment parks are all within easy reach of The Regent. Why not let us make all your reservations. The restaurant precincts of Cavill Ave and Broadbeach Mall are also just a few a few minutes from the door. Relax and enjoy our special piece of paradise at your next Gold Coast holiday at the Regent Apartments! The Anacapri Apartment is conveniently located in Surfers Paradise, on the beautiful Gold Coast and is just a short stroll to the sun drenched beaches and the numerous restaurants, cafes, bars, nightclubs and world class shopping that the Cavill Mall and surrounding areas has to offer. This Surfers Paradise accommodation caters to families with large self contained apartments as well as couples that want to relax and unwind. Whilst most families love to take in all the daily activities of Movieworld, Dreamworld, Seaworld or Wet n Wild, most couples have a tendency to relax around our tropical swimming pool and spa area. Grosvenor Beachfront Apartments is situated on the Esplanade directly opposite Surfers Paradise beach and 50 metres to Cavill Avenue and the exciting heart of Surfers Paradise. Offering 1 & 2 bedroom, fully furnished apartments with large balconies built to take in the magnificent ocean view, a heated swimming pool, spa, sauna, BBQ facilities and full sized tennis court, this is what holidaying is all about. The Grosvenor Beachfront Apartments will ensure that your next family holiday to the Queensland Gold Coast is a memorable one that won't break your budget. The Chevron Palms Resort is a 4 star modern Mediterranean style low rise building with lush tropical landscaping. The location is fantastic, on beautiful Chevron Island in Surfers Paradise in the hearty of the wonderful Gold Coast, just minutes away from the beach & shops. The Chevron Palms Holiday Apartments provides spacious, open plan i bedroom fully self contained apartmenrt accomodation all with private sunny balconies. Relax by the pool, stroll to the beach .. it's all here at Chevron Palms. Chevron Palms is within easy reach of cruise boats, Marina Mirage, Sea World, championship golf courses, The Arts Centre and Jupiters Casino, as well as major shopping centres and other Gold Coast attractions such as Movie World, Wet'n'Wild and Dreamworld. Holiday makers and families will enjoy all the excitement that a Gold Coast holiday has to offer when they stay at the Surfers Tradewinds Apartments. Guests are only a short walk from the city centre of Surfers Paradise or can relax in the tropical gardens around the pool, heated spa and BBQ area at the Surfers Tradewinds Holiday Apartments. Guests can choose a range of Gold Coast accommodation including low rise one, two and three bedroom apartments each with it's own private sunny balcony. Close by to the Surfers Tradewinds Holiday Apartments is family entertainment and shopping at Pacific Fair, Oasis Shopping Centre and the new Gold Coast Convention and Exhibition Centre, the Broadbeach Mall with its trendy sidewalk cafes and restaurants, the monorail link to Jupiters Casino and a five minute drive to the Surfers Paradise Racecourse, Bowls, RSL or Golf Club. Centrepoint Resort offers 4 star modern and stylish self contained apartments with fantastic resort facilities in the centre of Surfers Paradise at very affordable prices. Only minutes from Gold Coast beaches, shopping and nightclubs, featuring the best in after dark nightlife, Centrepoint Resort is the ideal holiday accommodation choice for families, couples and friends. The fully self-contained 1 & 2 bedroom apartments accommodation features stunning ocean or hinterland views, air-conditioning, fully equipped kitchen and laundry, colour TV, FREE Foxtel Cable TV, wireless internet access, international direct dial telephone, private bathroom with shower and toilet, hairdryer and large private balcony. Set in an acre of lush tropical gardens, Centrepoint Accommodation Resort has it all. Relax around the outdoor pools, laze in the sun, or swim in the warmth of the indoor pool.After all that swimming, relax and rest those tired muscles in the bubbles of a spa and in the mist of one of our saunas. Show your skill with a hit of tennis, then enjoy a laugh with friends around the BBQ. Further facilities include a sauna, spa and games room including a table tennis, pool table and arcade games, business services, intercom security system, elevator/lift, dry cleaning service, airport transfers, tour desk and FREE car parking. For guest enjoyment there are 3 swimming pools - indoor heated, lagoon style and sundeck pools - for those who want to swim in all conditions day or night. The location of Centrepoint Resort is ideal. mins from the beach & Cavill mall, a short drive to Jupiters Casino, Pacific Fair & the Gold Coast theme parks including Dreamworld, Warner Brothers Movieworld, Seaworld, Wet n Wild Waterpark, Currumbin Wildlife Sanctuary....Centrepoint Resort is the ideal Gold Coast holiday destination. Surfers Del Rey Riverfront Apartments are nestled on the beautiful Gold Coast waterways, offering 1 & 2 bedroom apartments, sleeping up to five people - ideal for that family getaway or an intimate break for couples. While many other accommodation providers offer cramped surrounds, the apartments at Surfers Del Rey are very spacious, providing plenty of room to move. Furthermore the resort is situated on Peninsular Drive, a no through road, which makes this one of the quietest areas in Surfers Paradise. The complex is low rise with three stories set among sub tropical gardens and riverfront, a tranquil setting that belies the closeness to the fun, beaches and excitement that is Surfers Paradise. Within this setting, most of the spacious fully self contained apartments have views of the courtyard gardens, pool or river and all come with their own balcony, fans, some with air-conditioning. The complex is low rise with three stories set among sub tropical gardens and riverfront, a tranquil setting that belies the closeness to the fun, beaches and excitement that is Surfers Paradise. Within this setting, most of the spacious fully self contained apartments have views of the courtyard gardens, pool or river and all come with their own balcony, fans, some with air-conditioning (fee). Each comes complete with fully equipped kitchen/laundry including microwave ovens, fridge/freezer, dishwasher, wall oven and grill, washing machine and dryer. All apartments have separate bath and shower as well as wireless internet access and Foxtel TV. Please note that all apartments are non-smoking, however feel free to use the balcony. Tropical cafes, restaurants, nightclubs, shopping and playgrounds are all minutes from your doorstep and the magnificent white sands and rolling blue surfing beaches of the Pacific Ocean are just 600 metres away. The Surfers Paradise cruise and bus terminals are both a short stroll away, as is the Paradise Centre, with the massive Timezone entertainment precinct. Of course the most famous part of Surfers Paradise is the beach, which is located just a couple of blocks from Surfers Del Rey. If convenience, lush surrounds, spacious rooms and value for money are important to you, Surfers Del Rey is your ideal holiday destination. The Artique Resort Apartments are conveniently located on the doorstep of the Gold Coast's Surfers Paradise and only a short walk from the patrolled beach. The spacious 1 and 2 bedroom apartment accommodation at the Artique Resort is self contained with fully equipped gourmet kitchens, stylish ensuite bathrooms, air-conditioning and private balconies with wonderful ocean, hinterland, river or Surfers Paradise views that are the evny of most other Gold Coast holiday accommodation. Imagine bathing in the Gold Coast sunshine before exploring a mosaic of colorful market umbrellas that shade the outdoor cafes and restaurants along famous Orchid Avenue. The View Pacific is close to the exciting shops and boutiques on Cavill Avenue and there is a vast number of cafes, restaurants, bars and nightclubs all within walking distance of the apartments. Jupiter Casino and Pacific Fair Shopping Center are a short drive from the View Pacific. There is a patrolled beach only 50 metres from the apartments and the glamour and excitement of Surfers Paradise is right on your doorstep. Surfers International Apartments offers 3.5 star 1 & 2 bedroom self contained serviced apartments in the heart of Surfers Paradise, Gold Coast. Holiday resort accommodation at affordable prices across the road from Cavill Ave, the beach and the Centro Surfers Shopping Complex. Enjoy Gold Coast accommodation with perfect sun drenched mornings overlooking crystal deep blue seas as you gaze from your private balcony out to the rolling Pacific Ocean and golden sands. Step out onto our elevated landscaped recreation area for a twilight BBQ beside the pool for Gold Coast accommodation. Cross the street, and you're in the Heart of Surfers Paradise. Stroll through famous Cavill Mall with its street entertainers and bustling shoppers mingling with lunch time or evening crowds. Relax in outdoor terrace cafe's to soak up the cosmopolitan atmosphere. Return home to your Surfers International apartment and let our professional staff help you decide on your next exciting tour activity. Surfers International Apartments offers spacious, self-contained, fully equipped, one and two bedroom apartments in central Surfers Paradise. The 2 bedroom apartments have 2 bathrooms and private laundry facilities with a washing machine, clothes dryer and iron/ironing board; while the 1 bedroom apartments have share laundry facilities. All apartments face north-east to capture the most of the warm Queensland sun and feature panoramic ocean views. Surfers International is a popular holiday destination for Australian and overseas tourists alike. Laze by the heated pool and spa overlooking the beach or for the more energetic, work out in the gymnasium. Relax at the end of the day in the sauna and heated spas or chat around a barbecue in the garden with a delightful ocean outlook Further facilities include a tour desk, entertainment, exercise equipment, lift/elevator, guest laundry, dry cleaning service, laundry service, security intercom, luggage storage and FREE car parking - security undercover. The friendly reception staff offer a complimentary service to help organise your tours and Theme Park tickets. Welcome to Surf Parade Resort, located in the vibrant centre of Australia's renowned Gold Coast - the perfect location for your next Gold Coast holiday. The superb studios and one bedroom holiday apartments at the Surf Parade Resort are perfect for couples and small families seeking top quality Broadbeach accommodation at affordable prices. Surf Parade Resort is a 10 level resort offering 98 Mediterranean style self service apartments, tastefully decorated with modern decor and fittings throughout. All one bedroom apartments accommodation further feature an in-room, corner spa bath, large curved balcony (most with sea views) and Jimojo Wireless Internet access. Laze by the heated pool and spa or play a game of tennis on the full size on-site court. Further resort facilities include barbecue facilities and gazebo adjacent to the pool, heated outdoor spa, sauna, a mini gymbasium, free security car park under the building, dry cleaning services, laundry service, two high-speed lifts, vending machines, controlled access building security system, guest laundry, tour desk for seat and ticket reservations plus car rentals and delightful tropical gardens to ensure plenty of enjoyment and relaxation. Perfectly positioned beachside off the highway in Surfers Paradise, Surf Parade Resort is ideally situated mid-way between Broadbeach and Surfers Paradise, only 200m from the magnificent Gold Coast surf and patrolled beaches. The renowned international cuisines of the Broadbeach restaurant precinct are just a few minutes walk away. Shops, entertainment at Jupiters Casino Gold Coast Convention Centre are all close by. Take a monorail trip over the river to Jupiters Casino or enjoy the best international dining at a wide choice of cafes and restaurants. Equally close is the centre of Surfers Paradise, where there is an extensive variety of restaurants, cafes, bars and nightclubs. An excellent location for couples. Be one of the first to discover the Gold Coast's best kept secret, Trilogy Surfers Paradise Resort - a luxury apartment accommodation resort. A trio of magnificent buildings set amongst native and tropical landscaping, with expansive watA trio of magnificent buildings set amongst native and tropical landscaping, with expansive water features, in one of the Gold Coast's most sought after locations, Surfers Paradise. Some of the outstanding facilities at Trilogy Accommodation Resort are the gymnasium, sauna, spa, games room, great BBQ areas, heated resort swimming pool, and for the extra security of our guests, the Resort provides free secure underground parking, on-site management and monitored security. Trilogy Surfers Paradise Resort offers a choice of 1, 2 or 3 bedroom luxury, superbly furnished, spacious apartments accommodation with a comprehensive range of services specially designed to cater for your needs. These luxury apartments are fully self contained with all the finer details included. All feature air-conditioning and contemporary finishes and furnishings. For guests who require the absolute epitome of luxurious surroundings the 3 Bedroom Deluxe Apartments accommodeation are impossible to go past. Located on the 13th floor and upwards these fully ducted air conditioned brand new Deluxe Apartments are exceptionally furnished & exceedingly spacious. Trilogy is just 5 minutes walk to the heart of Surfers Paradise, where you will find something to suit everyone, from supermarkets, boutique shopping, licensed restaurants and cafes, nightclubs and themed attractions. An easy stroll takes you to either the rolling surf and white sands of the internationally acclaimed Surfers Paradise beach, or the tranquility and relaxing atmosphere of Budds Beach. World-class theme parks, golf courses, the Hinterland and National Reserves, are all within an easy drive. 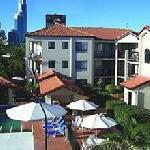 Trilogy Surfers Paradise Resort provides quality accommodation, in the perfect location. The friendly staff will be more than happy to assist you with all local information, tour bookings, theme park tickets, car hire and bus transfers. Trilogy - Surfers Paradise offers luxury accommodation designed for the pleasure and comfort of the family, couple or business person. The luxury apartments have all the finer details included. This, plus the perfect location, makes Trilogy Apartments the ideal place to stay on your Gold Coast holiday. The holiday apartments at the Paradise Isles is ideally located on Chevron Island on the Queesland Gold Coast. This Surfers Paradise accommodation is situated just minutes walk to cosmopolitan Chevron Village cafes and shops, central Surfers Paradise beach, shopping and nightlife entertainment. The Paradise Isle Apartments is within easy reach of cruise boats, Marina Mirage, Seaworld, championship golf courses, The Arts Centre, Jupiters Casino, The Convention Centre, major shopping centres and other Gold Coast attractions such as Movieworld and Dreamworld. Circle on Cavill Private Holiday Apartments are private luxury holiday apartments located in the Circle on Cavill resort, Surfers Paradise with full use of all resort facilities. The Circle on Cavill Resort is a world class resort development integrating two residential towers of impressively large 1 and 2 and 3 bedroom apartments - an exciting new generation shopping and leisure precinct, boasting open-air piazza with Big Screen entertainment. The resort is located right in the heart of Surfers Paradise on the fabulous Gold Coast, just two minutes from Surfers Paradise beach. Enjoy a lifestyle that combines beachside culture with the sophistication and vibrancy of a metropolitan retail and holiday experience. The ultra-modern, heavily discounted apartments are all very spacious, beautifully designed and appointed, featuring air-conditioning, fully self contained state of the art kitchens, laundries, bathrooms with SPA baths, flat screen televisions, DVD players, stereos, cable TV, spacious living areas and private balconies - all furnished with an ultra modern edge. The resort has fantastic facilites including a 25 metre covered outdoor heated lap pool, a large separate lagoon pool with change rooms, a third separate outdoor pool, change/powder rooms with showers and toilets, fully equipped gym, private in house cinema decks, big screen outdoor entertainment and viewing terrace, saunas, steam rooms, games room, large secure children's play ground, own supermarket and shops and much, much more. At your doorstep are the cosmopolitan delights of Surfers Paradise shopping and dining precinct, with leisure and entertainment choices to satisfy your every mood, including alfresco cafes, choice eateries and lounge bars, some of the nations most prestigeous fashion retailers and enticing specialty boutiques, an exciting new food gallery, supermarket, deli, bakery, mega-pharmacy and lots lots more. The Circle on Cavill resort is also within easy reach of the beach, shopping, theme parks, the Casino, 18 international standard golf courses and all the other attractions of the Gold Coast. The Circle on Cavill Private Holiday Apartments - the perfect place to relax, revive and rejuvenate. A delightful low rise self catering apartment resort set in lush tropical gardens only 150m from a patrolled beach, midway between Broadbeach and Surfers Paradise. Perfect for a fantastic family holiday! Circle on Cavill offers luxury on a grand scale in the heart of Surfers Paradise, offering luxury 1,2 & 3 bedroom apartment & subpenthouse accomodation on Cavill Avenue in the heart of Surfers Paradise. Located within a brand new multi-million dollar redevelopment area, Circle on Cavill Surfers Paradise Apartments Gold Coast is an exciting mix of ultra-modern holiday apartments and new generation shopping with a fabulous leisure precinct, boasting an open-air piazza and Big Screen entertainment, chic designer and boutique stores, restaurants, cafes, bars and gourmet delis. Ideally located on Cavill Avenue, just 900m to the beach, Circle on Cavill provides ultra-modern apartment and subpenthouse accomodation, offering panoramic views of the Pacific Ocean and Hinterland mountains surrounding the Gold Coast. Circle on Cavill, in central Surfers Paradise, introduces the very best in Gold Coast inner city living with spectacular resort facilities. From the Barbecue Deck watch the big screen entertainment. Enjoy a lifestyle that combines beachside culture with the sophistication and vibrancy of a metropolitan retail and holiday experience. This world class development integrates two residential towers of 69 levels. The resort offers extensive leisure facilities unparalleled in diversity and quality including 3 swimming pools inc. a lagoon style pool & heated lap pool, spa, sauna, steam room, gymnasium, BBQ facilities and private theatrette creating the ideal setting for a Gold Coast holiday. Enjoy a lifestyle that combines beachside culture with the sophistication and vibrancy of a metropolitan retail and holiday experience. Circle on Cavill - cocooned in luxury and privacy, yet immediately accessible to all the excitement and activity of a 24 hour city. This brand new resort provides every conceivable luxury to create the perfect place to relax, revive and rejuvenate. Located 100 metres to a patrolled beach and a short 10 minute stroll to Cavill Avenue, the heart of Surfers Paradise renown for shopping, night clubs, restaurants and weekly Friday night markets. 5 minutes drive south takes you to the Casino and Pacific Fair Shopping Centre. The Genesis Holiday Apartment resort has two swimming pools, one heated, heated spa, games room, gym, sauna, covered bar-b-que area in lush tropical surrounds. Security underground parking is also available. Tourist and local buses stop at the door. The Kupari Boutique Apartments provides great value for money holiday apartment accommodation in a prime position in Surfers Paradise, just 50 metres off the patrolled beach and 8 minutes walk from exciting shopping, international dining and the nightlife of Surfers Paradise. The discount 1 & 2 bedroom apartment accommodation provided by the Kupari Boutique Apartments is north-facing with sunny balconies, modern, fully self contained & spacious. With such a fabulous Surfers Paradise location and exceptional value this Gold Coast accommodation will suit individuals, couples and families travelling on a budget. Aristocrat Apartments ideally situated in the heart of the Gold Coast offering friendly service and excellent family value accommodation. We welcome you! Come experience and enjoy the life style of paradise. Golden sandy beaches, which stretch for miles, lush oasis, breathtaking sunrises over the most beautiful beach in the world. The accommodation provided by the Surfers Beach Holiday Apartments is exceptional value for money, fully self-contained and ideal for your next family holiday on the Gold Coast. The Gold Coast's only low rise 3 floor walk up 3 bedroom apartments with fully ducted reverse cycle air conditioning. The Surfers Beach Holiday Apartments are ideally located halfway between Surfers Paradise and the quiet end of Broadbeach, close to the Convention Centre, Jupiters Casino & Pacific Fair shopping centre, plus everything that the Gold Coast has to offer. The Paradise Island Resort has it all - enjoy everything the Gold Coast has to offer or relax by the pool, unwind in the spa or steam room, or have a hit of tennis while the kids enjoy the Kids Club. The Paradise Island Resort, 4 star resort located in the heart of the Gold Coast - experience everything the Gold Coast has to offer or relax by the pool, enjoying the fabulous resort facilities a hit of tennis while the kids enjoy the Kids Club. Panorama Tower. The best location for your holiday in Paradise. Whether you want to relax in private or get out and enjoy the many attractions waiting for you on the wonderful Queensland Gold Coast, Panorama Tower is the place for you. Located right on the river, Panorama Tower provides the perfect accomodation in Surfers Paradise!!! Only five minutes walk from the centre of town and seven minutes walk to one of the world's most famous beaches, Panorama Tower is right in the heart of it all. Even better, it is located down a quiet street away from the business of Surfers Paradise centre by night! This wonderful resort is positioned in a slightly North Easterly direction - taking full advantage of the sun to provide warm apartments in winter and cool apartments in summer. So anytime of the year you choose to visit it is sure to be perfect! The resort facilities include a fantastic outdoor area with a heated pool, BBQ area right on the water and a private sun deck for sunbathing and fishing. With full security throughout the building and the grounds, you can enjoy your holiday with peace of mind knowing that you and your family are safe. All apartments at the Panorama Tower have been designed and decorated for maximum enjoyment and relaxation, comprising luxurious bathrooms, laundry facilities, full kitchen facilities, including microwave, oven, toaster, etc. and spacious lounge and dining areas. Wake up to a panoramic view every morning! Panorama Tower boasts spectacular views from every apartment. So come and stay at Panorama Tower. It surely is the best location for your holiday in paradise. Gold Coast apartment accommodation doesn't get any better than this. A magnificent 28 storey high rise apartment building situated in the heart of the Gold Coast overlooking the famous, patrolled Surfers Paradise beach. All of the 1 and 2 bedroom apartments at the Hi Surf Luxury Holiday Apartments are extremely spacious and have ocean views from the large sun drenched balconies, a fully equipped kitchen and laundry, heated indoor and outdoor swimming pools, BBQ area, indoor/outdoor spa pool, sauna, solarium and full size tennis court. Promenade Apartments - In the heart of Surfers Paradise Experience the convenience of being there, while staying at ... Promenade Apartments Our name is our claim ... situated right in the heart of SURFERS PARADISE on Queensland's Gold Coast. The Crown Towers Resort - the most prestigious holiday apartments in Surfers Paradise - luxury 1 & 2 bedroom fully self contained apartment accomodation. But there's a lot more to Crown Towers than luxury accommodation. 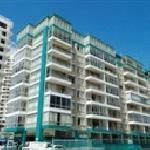 You'll also enjoy all the services and facilities of a world class apartment resort. Located in the heart of Surfers Paradise on the Gold Coast, Crown Towers Resort offers a wide range of leisure facilities perfect for a family holiday, short break or weekend away. Licensed restaurants are set in a spectacular atrium setting full of lively colour and friendly staff. Outside is a tropical theme park. Children are well catered for, with a huge lagoon style pool with its own pirate ship, waterslide, island and sandy beach. Sit back and relax while the kids take advantage of the numerous games on offer in the games room, or enjoy the childrens playground. Crown Towers Resort's leisure facilities also include a 15 metre indoor heated pool, spa, sauna, steam room, fully equipped gymnasium and on-site restaurants, kiosk, cocktail bar, convenience store and coffee shop. Just 100m from Surfers Paradise beach and 500m to the caf? and restaurant precinct of Cavill Avenue, Crown Towers Resorts provides access to all the attractions of the Gold Coast. Within seconds from your door, you can be strolling along golden beaches. Wander through the heart of Surfers Paradise to enjoy world class shopping, casual fine dining, entertainment and leisure facilities. The resort offers spacious self contained one and two bedroom apartments, all with their own fully equipped kitchen and laundry, cable TV, pay per view movies and security intercom. All apartments feature their own private balcony, with many offering ocean views. Crown Towers provide a spectacular home away from home.Crown Towers Resort is truly a world class apartment resort.